A big part of me wants to use today's platform to go on a tirade against all the callous people I've dealt with over the past few weeks but what good would that really do. Eveyone falls into the Deep Pit at one time or other and the fact I live on a ledge far enough down I can barely see a pinpoint of light puts me in a category with loads of other people, therefore unexceptional. It's cool and damp here, like a cave, so could be worse. I hate the heat, and sometimes the sun, so maybe it's here I'm best suited. Dare to poke your head out, expecting others to be compassionate despite the fact I've developed the huge, freakish eyes of those who dwell in the dark, and you'll be used as a stepping-stone for the "above" people who are bigger, therefore better, than you. If you're one of these people, you'll know who you are from the bit of sting you feel, the acknowledgement of your shame. Ah, but that's assuming you have a conscience. And that's how my life life's been going. Enigmatic, maybe, but a shot back over the bow to a few people who more than deserve it and are fortunate I haven't named them. A pox on you and I will not let you ruin this week as well. Now, let's talk about books. First off, the Frank Delaney interview. God that went well! I did a good enough job picking the questions, he blew me away with his answers. It's of course up here on Bluestalking, as well as in the Chicago Tribune Local edition. Hoping Library Journal will pick it up, too. I review for them and have asked pretty please. It may be upcoming. Funny aside that made that in some ways embarrassing debacle (trust me) a bit less painful, I received an email from a publicist/marketing person re: Mr. Delaney's answer to my question about technology and what impact it will have on book publishing. He went into his feelings on book blogs and how much he loves them. She sent me a note, along with a ton of other bloggers I'm sure, praising him for his stance on literary bloggers. From my own interview, of course, without her realizing it! Made me laugh. Flattering, too, of course, as she enjoyed the interview. I'm planning to post separately re: the recently announced Orange Prize Longlist, so I'm not ignoring that but just delaying it a bit. Building the suspense and all that, right? Received this review copy out of the blue and they couldn't have picked a more willing blogger. 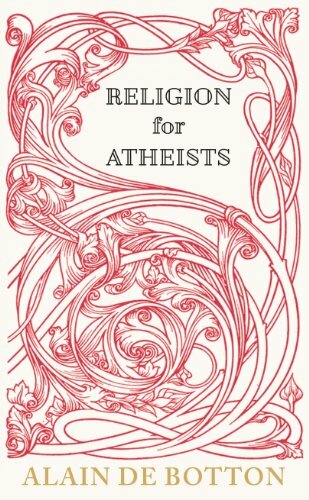 I've long struggled with my complete lack of religious belief, though positive views on some things about religion/associated with religious belief, only no one's yet written anything I've found helpful on the topic. Most spew venom (SEE: Hitchens, Christopher – may he rest in peace) or, on the other side, make me want to put my finger down my throat and vomit. But Alain De Boton is, so far, hitting this particular nail right on its very head. Loving it. He writes so well. I really do enjoy his work. Another funny coincidence, I'm an advisor to a nonfiction publishing house and the latest author pitch they sent me for evaluation was so similar to De Boton's book it could have been its companion. I really hope they accept it for publication. It's a book I think is sorely needed in this literary genre that's been nothing but abused by those with a slanted agenda. Still working on The Last Storyteller. A bit hard reading this after the aforementioned negative experience interviewing him (not him, personally, but…) but the beauty of it… Swoon-worthy. Sorry to sound like a broken record but no other nationality writes so well as the Irish. Except the gems of the U.S. South, and many of those authors' ancestors hailed from Ireland. Scotland, as well. And England. But, so far as I can tell yet, mostly Ireland, as did parts of my own family. I had two red-haired, blue-eyed grandfathers of Irish extraction, whose genes somehow hopped over all my other exclusively brown-haired and eyed relations to settle upon me. Statistically improbable but my blue-eyed, auburn-haired daughter is mightily grateful. Further on genetics, it's my belief one reason the literature of the American South is so astounding owes itself to Irish immigrants settling there. When that light bulb went on I thought, "I am so original! I shall write a book!" #Turns out I'm not the sole soul to have noticed this connection, not that this means another book – from a different viewpoint – would be amiss. I simply wouldn't have the time, despite the inclination. A scholarly paper, perhaps? A long article? I think I have a few hours free in late 2018. I'll throw it in the pot, where a nice stew's already bubbling away. Otherwise, reading away for review, book clubs I've been asked to run online, prize candidates and a shameful amount of library books I checked out because a review comes under my nose and I can't NOT pounce. Especially dangerous are all those lovely literature blogs listing outstanding books read recently. If they're short I tell myself, "Surely I can fit in this ONE!" Trouble is, it's never just one. "After Alison Temple discovers that her husband is cheating on her, she does what any jilted woman would do—she spray paints a nasty message for him on her wedding dress and takes a job with the detective firm that found him out. Being a researcher at the all-female Fitzgerald’s Bureau of Investigation in London is certainly a change of pace from her previous life, especially considering the characters Alison meets in the line of duty. 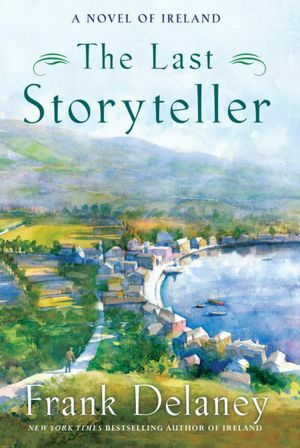 There is her boss, the estimable Mrs. Fitzgerald; Taron, Alison’s eccentric best friend, who claims her mother is a witch; Jeff, her love-struck, poetry-writing neighbor; and last, but not least, her psychic postman. 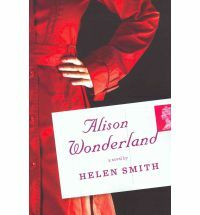 Clever, quirky, and infused with just a hint of magic, Alison Wonderland is a literary novel about a memorable heroine coping with the everyday complexities of modern life." "A tiny marvel of comically repetitive gloomery…. [A] wonderfully monstrous creation." "What could be more fun than laughing at intellectuals? 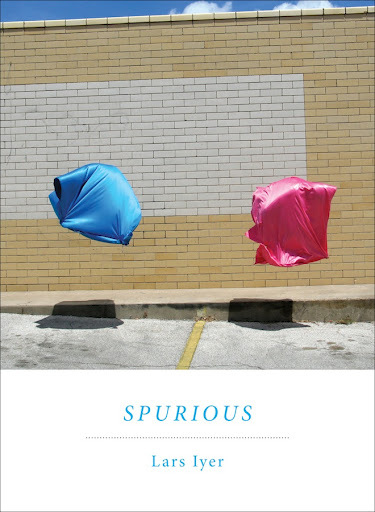 This, Lars Iyer's first book, sprang from his blog, Spurious, which sprang from his career as a philosophy lecturer at Newcastle University. I'm still laughing, and it's days later. But who, exactly, am I laughing at?" "Ought to be unreadable, but manages to be intelligent, wildly entertaining, and unexpectedly moving instead."